We all know how painful it is to have a poor night’s sleep, or worse, a string of them. What is not as well known, however, is the importance of good sleep to one’s mental health. Poor sleep not only produces problems with mood, productivity, performance, and physical health (Kripke et al., 2002; Sigurdson & Ayas, 2007; Zohar, Tzischinsky, Epstein, & Lavie 2005; ), it is also associated with high rates of anxiety and depression. One large clinical study found that people with insomnia were approximately 10 and 17 times more likely to have depression and anxiety, respectively, than people with healthy sleep (Taylor, Lichstein, Durrence, Reidel, & Bush, 2005). So what explains this overlap and why does it matter? Historically, clinicians believed that sleep difficulties were merely symptoms of anxiety and depression, and would resolve when good mental health was restored. However, more recent long term research paints a more complicated picture in which there is a bidirectional relationship between sleep and mental health. That is, sleep difficulties serve as risk factors for the development of anxiety and depression, and at the same time, anxiety and depression are associated with the development of sleep problems (Baglioni et al., 2011; Harvey, 2001; Neckelmann, Mykletun, & Dahl, 2007; Taylor et al., 2005). Further, the presence of sleep problems in the context of anxiety and depression often exacerbates severity of these mental health disorders and reduces the rates of effective treatment (Bélanger et al., 2016; Nierenberg et al., 2010). Awareness of these bidirectional relationships has highlighted the need for addressing sleep as a preventative approach for reducing the incidence of more severe and costly mental health problems as well as ensuring sleep is sufficiently treated concurrently with mental health disorders. Although the bidirectional patterns are similar, sleep problems are slightly different in relation to anxiety and depression. Anxiety-related sleep difficulties often present as problems falling asleep or staying asleep due to excessive worry or restless energy, termed “hyperarousal.” People with these sleep disturbances will often complain of worrying and anxious thoughts keeping them awake. Depression-related sleep problems are more wide-ranging and can include difficulties falling asleep, early morning wakening, and even excessive sleep termed “hypersomnia.” In depression, sleep problems may be linked to underlying sleep neurobiological and circadian rhythm functioning (Thase, 1999). In light of the recent research highlighting the bidirectional relationships between sleep and mental health, medical professionals now consider sleep a high priority treatment target. Improving sleep represents a highly cost-effective means of reducing the incidence and impact of anxiety and depression. The first line treatment for sleep problems is called Cognitive Behavioral Therapy for Insomnia (CBT-I). CBT-I is a behavioral intervention that teaches individuals how to manage the thoughts and worries that accompany insomnia, while also establishing healthy sleep habits. Clinical research has found that CBT-I is as effective as medication treatment in treating sleep problems without the side effects or risks of dependency (Trauer, Qian, Doyle, Rajaratnam, & Cunnington, 2015). Additionally, it helps improve anxiety and depression symptoms (Smith, Huang, & Manber, 2005), and thus can be implemented preventatively or in the context of broader treatment for anxiety and depression. Despite the promising results of CBT-I in addressing sleep problems and mental health, there is a substantial shortage of trained specialists to administer this treatment. In fact, there are fewer than 250 board certified behavioral sleep medicine specialists in the entire US and an estimated 50 million adults with insomnia (American Board of Sleep Medicine; Roth et al., 2011). Additionally, in-person treatment is costly and stigmatized. Digital CBT-I programs have been developed to address this gap and provide access to evidence-based interventions for sleep problems to everyone who needs them. Sleepio is one such program that has been studied in a variety of settings including national healthcare systems and Fortune 500 companies, with results showing it is effective at helping poor sleepers improve both their insomnia as well as anxiety and depression symptoms (Bostock, Luik, & Espie, 2016; Espie et al., 2012; Luik et al., 2016). 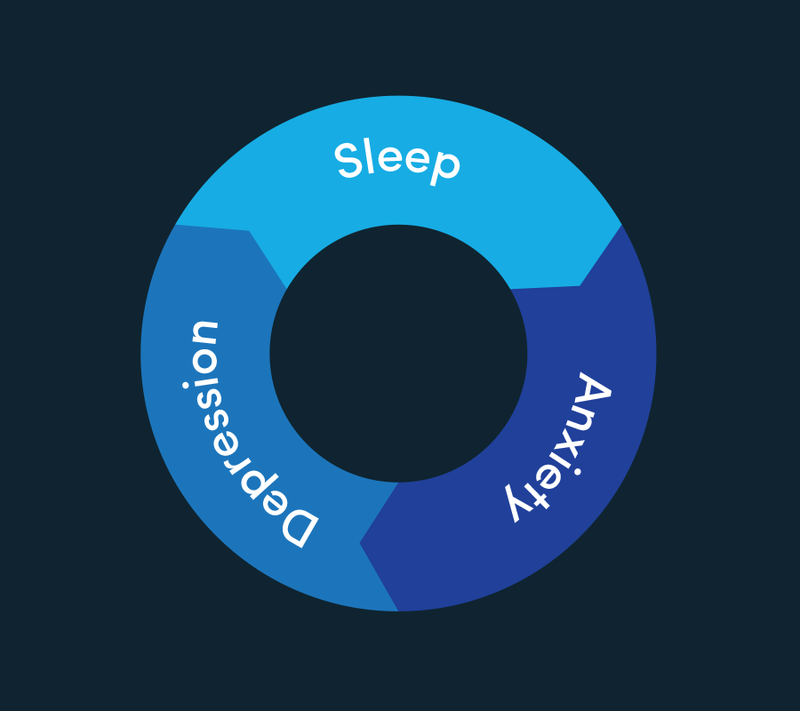 Thus, digital CBT-I programs such as Sleepio present a major opportunity for organizations to improve their employees’ sleep and mental health.